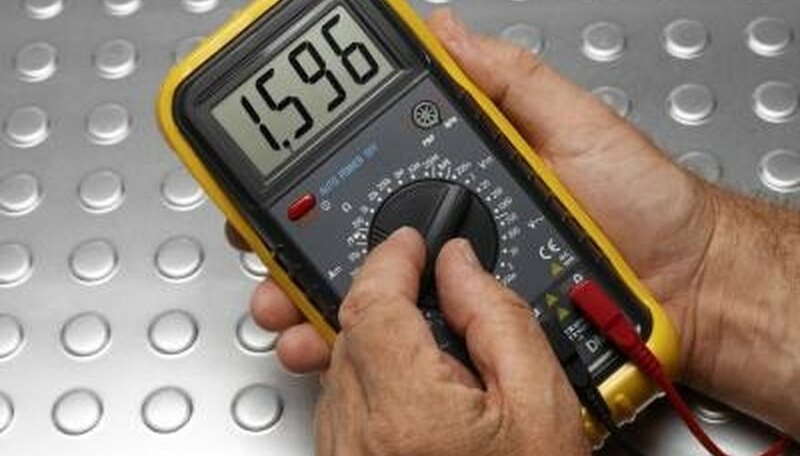 Analog multimeters utilize a small thin needle to identify readings that are taken by the probes or leads. The display of the meter uses a series of identification marks for the various operations of the meter. These marks are displayed directly behind the needle. When the needle intersects the markings on the display, that is the value of what is being read by the multimeter. 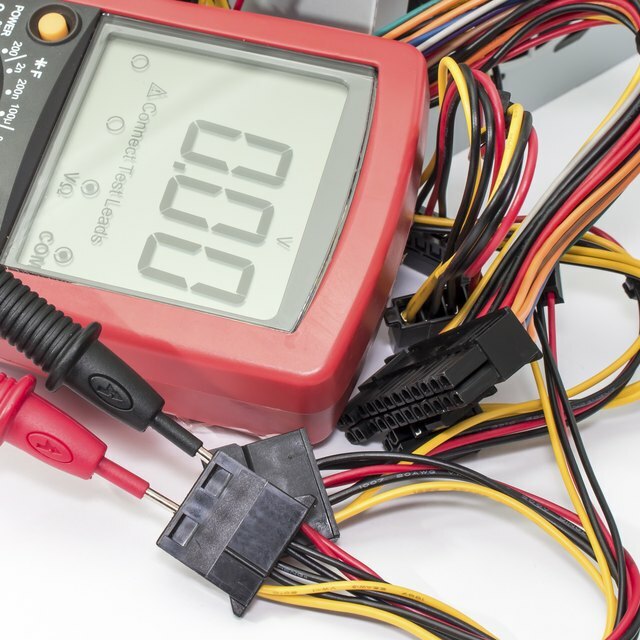 Most analog multimeters are specific in the operations that they can perform. Most typically an analog multimeter can be used to find resistance, voltage and small amperage values. The face of the meter contains the display itself, a switch or knob for the functions of the meter and connectors for the probes or leads. The red lead will be placed into the “ohms” connector. The black lead will be placed into the “common” connector. Switch the meter to the ohms area on the knob and on the “1X” position. The 1x designates that the readings are a 1 to 1 reading. Note on the display at the left of the meter is a scale identified as 1X. Touch the leads together. The needle will move to the far right. Adjust the meter to the “zero” mark on the meter display. Calibration of the meter is performed by the small knob marked “calibrate” or “zero.” This knob is located on the face of the meter body next to the large selector switch. Each time the meter is used to measure resistance, the meter should be calibrated. Higher values of resistance can be read by turning the knob to higher ohms value such as 10X, 100X and 1000X. Corresponding scales are identified on the display. Touch the probes to the contact points in which the resistance is to be tested. Move the red lead from the “ohm” connector into the one marked “volts”. Turn the selector knob to the volts area. Note that there is an AC area and on some meters a DC position. The correct position must be chosen for the type of voltage being tested. Some analog meters may also have two or three levels of voltage capabilities. These are found on the selector switch as well. The ranges can be 120 VAC, 240 VAC and 1000VAC. Voltage is read by placing the leads on a voltage source with the selector switch in the correct position. Again a scale is indicated on the meter display face. The upper most amperage limits for most analog maters will not be greater than 20 amperes. Note that most multimeters will have only one selector switch position for this type of reading. The connectors for the leads may have two distinctly marked connectors though. Caution must be exercised that the leads are placed in the correct connectors or else damage to the meter may occur. The connectors may be simply marked “amps” or “amperage”. The leads must also be placed so all electrical power flows through the meter. The probes are not merely touched in parallel to read the power, but placed in series with the circuit being tested. A special alligator clip or clamp may have to be employed to ensure a good electrical connection for the testing circuit. Bayne, G.K.. "Analog Multimeter User Instructions." Sciencing, https://sciencing.com/analog-multimeter-user-instructions-5251750.html. 24 April 2017.